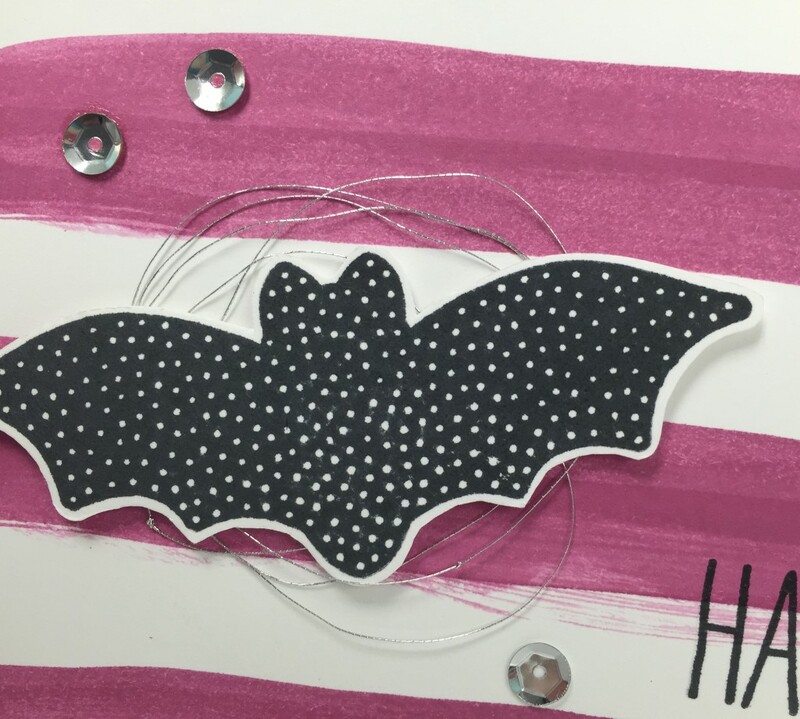 The background of this card was made using an Aquapainter and Rich Razzleberry ink. 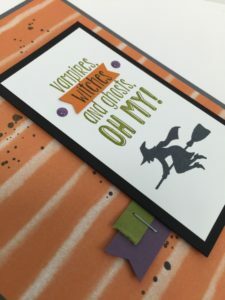 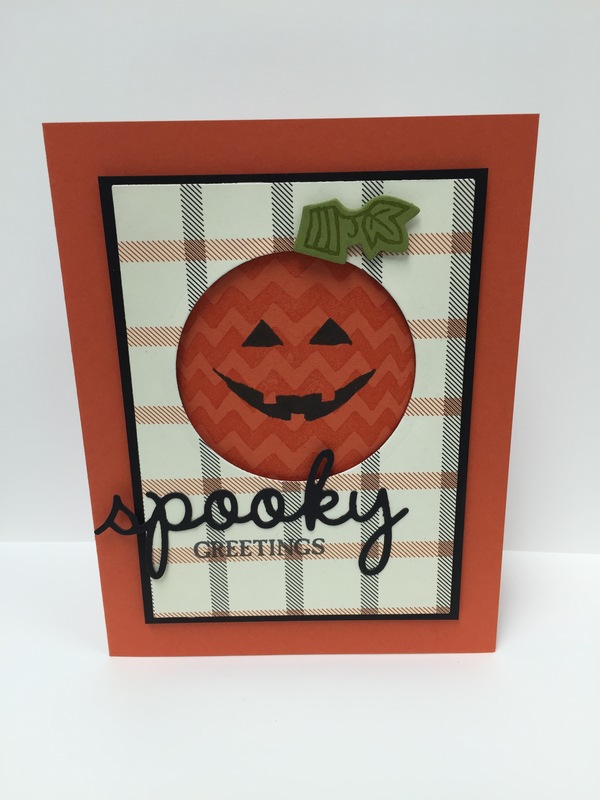 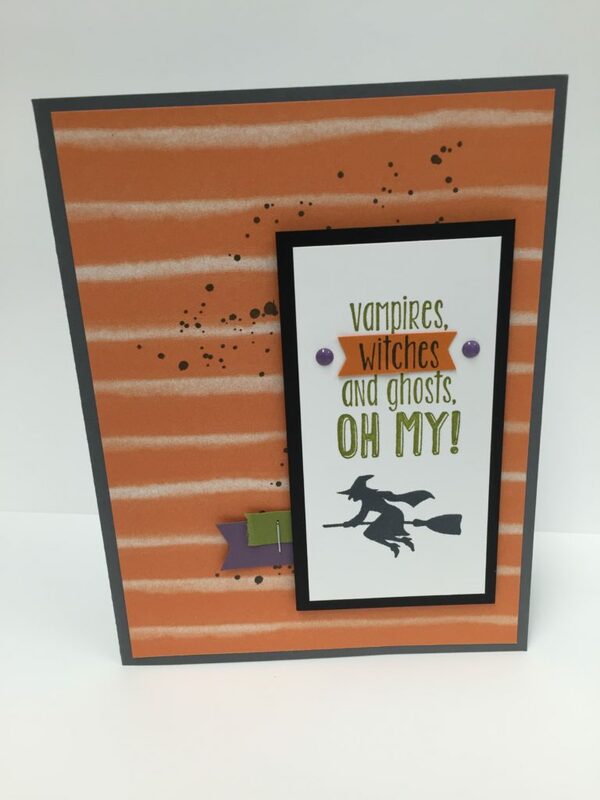 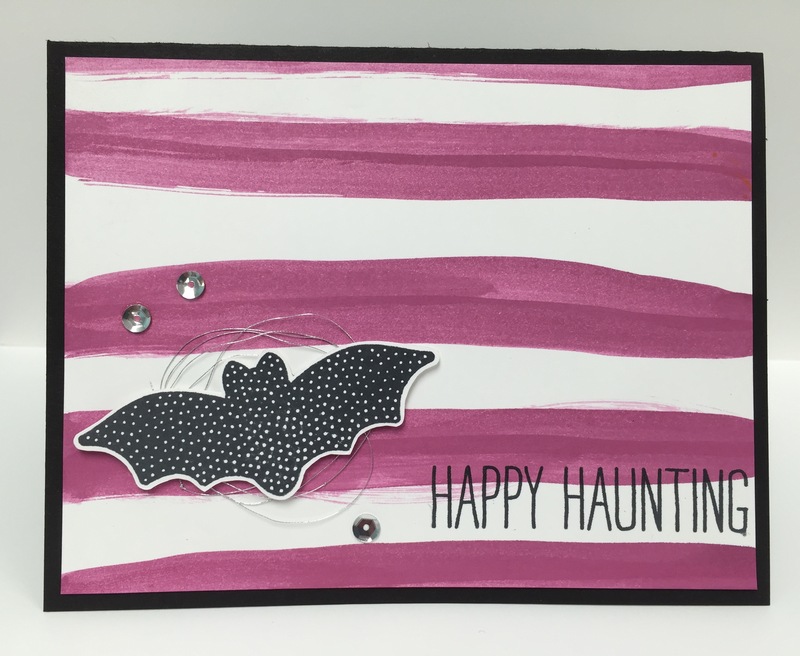 The Happy Haunting sentiment and the dotted bat image was stamped using the Cheer All Year stamp set. 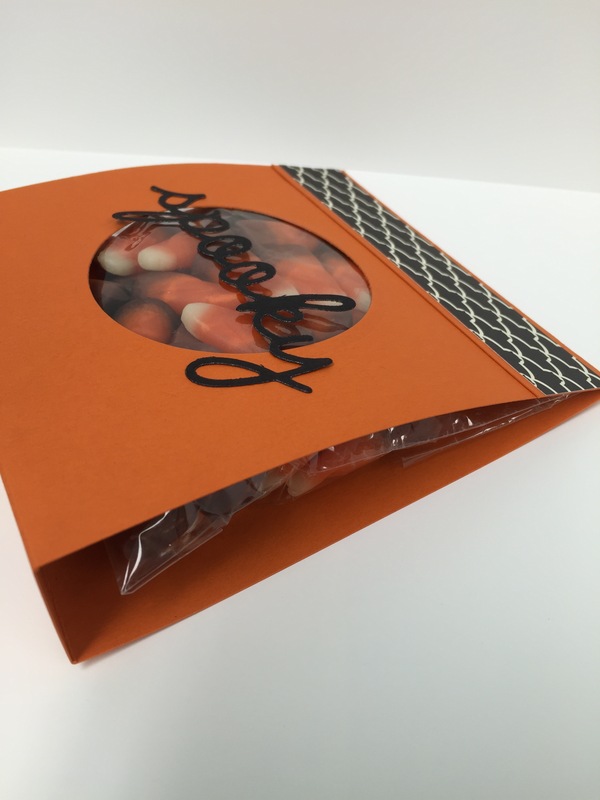 This pouch is designed to fit pixy stix candy inside. 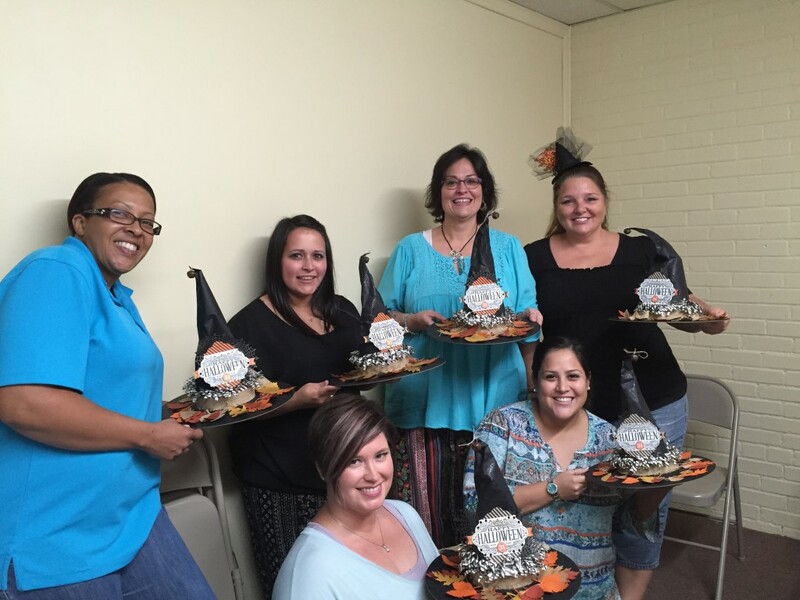 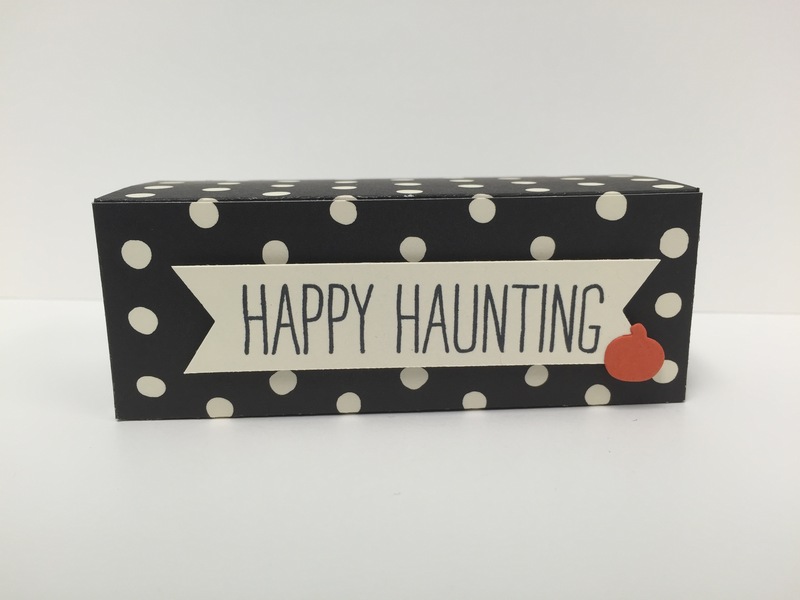 It features the Cheer All Year Stamp Set and Happy Haunting DSP. 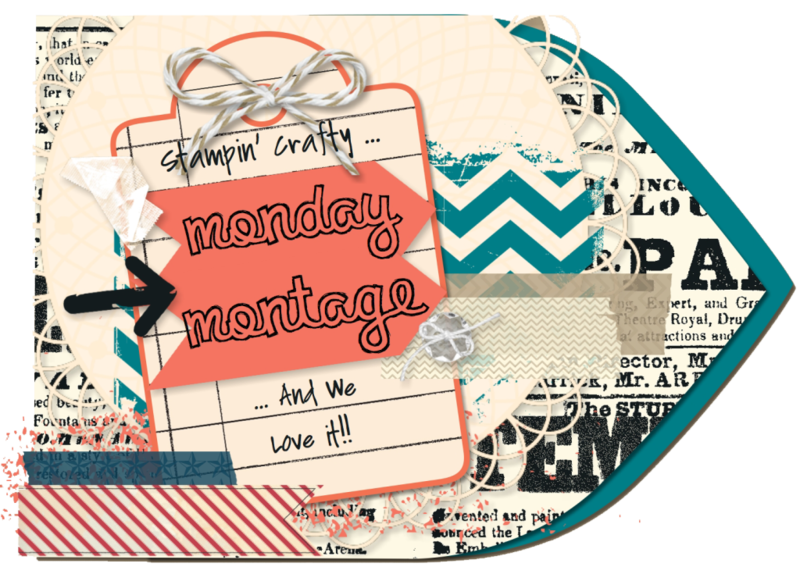 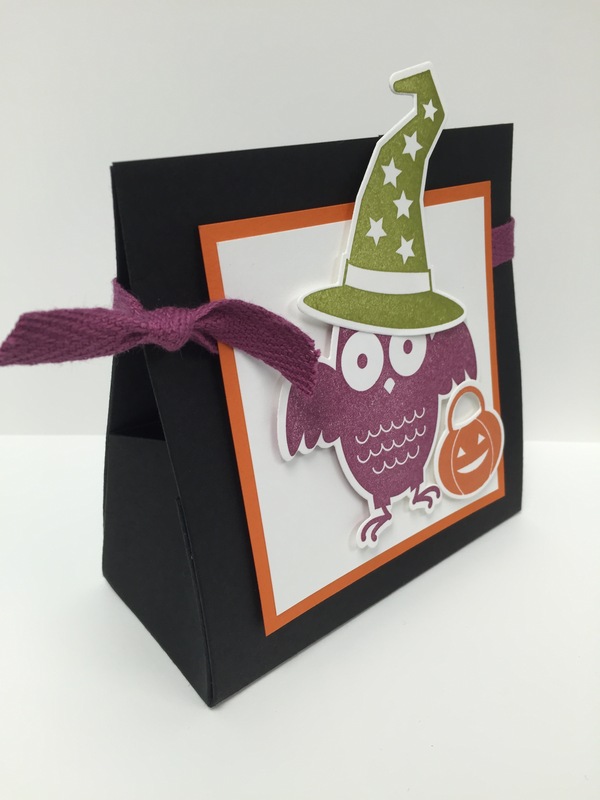 I used the Stampin’ Trimmer to score the card stock to make the pouch. 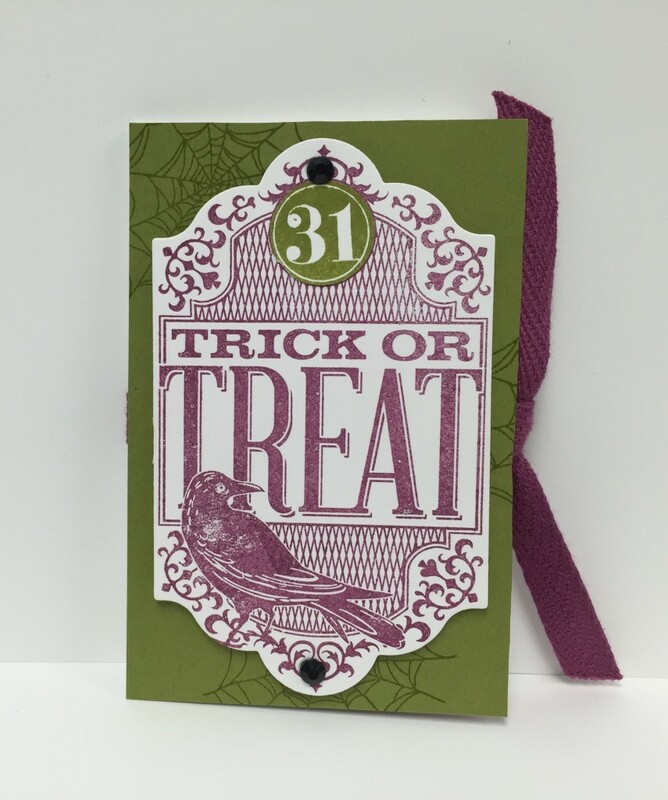 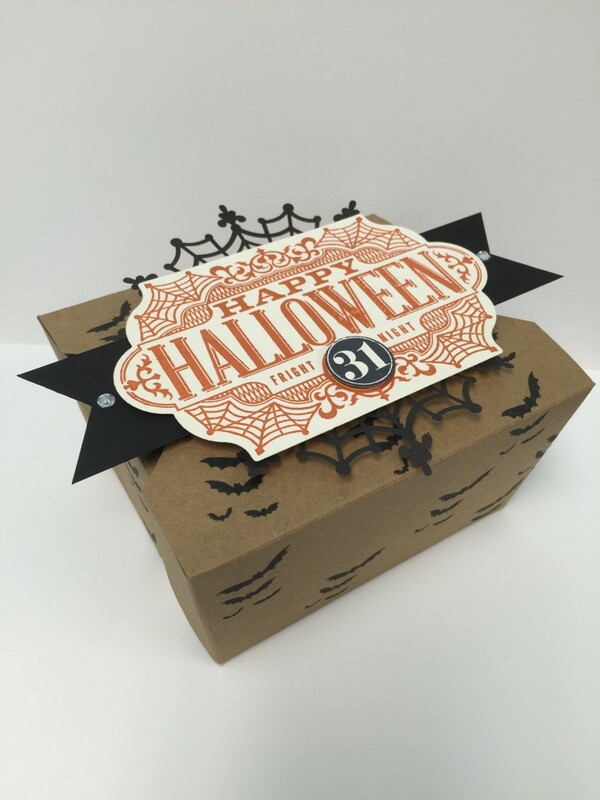 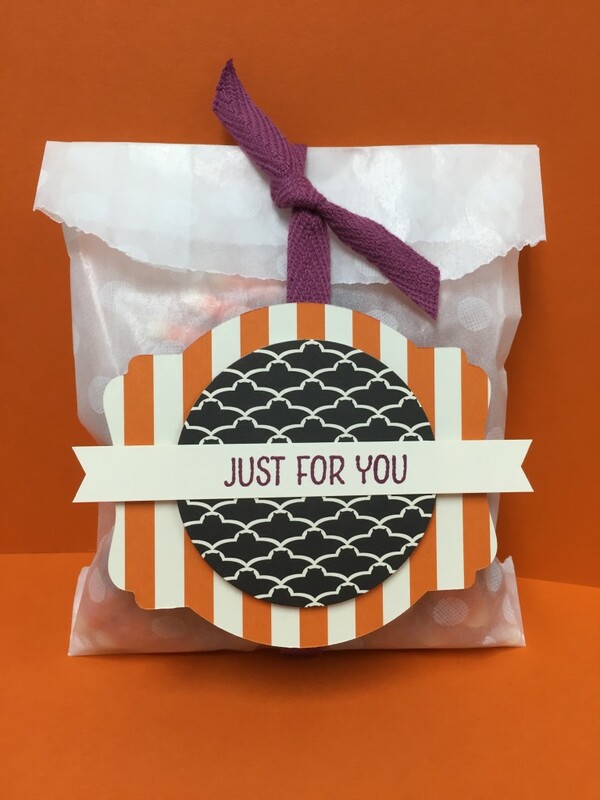 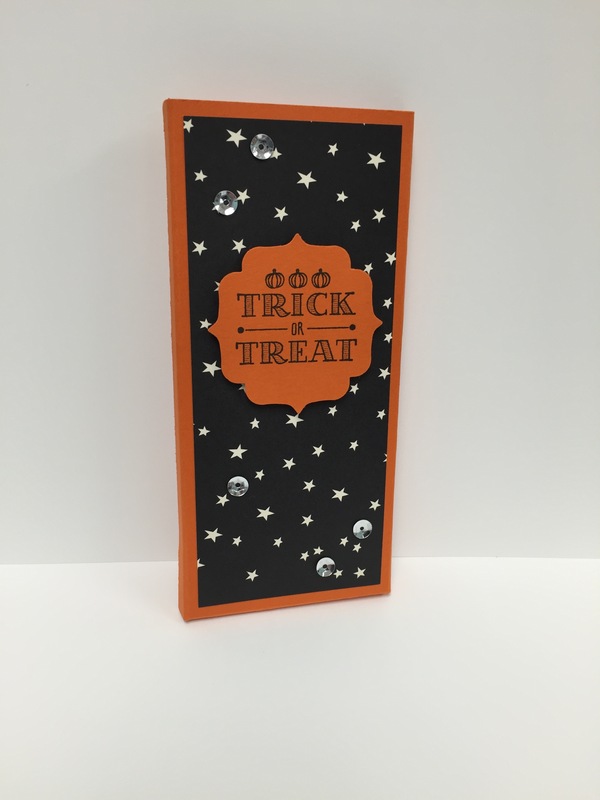 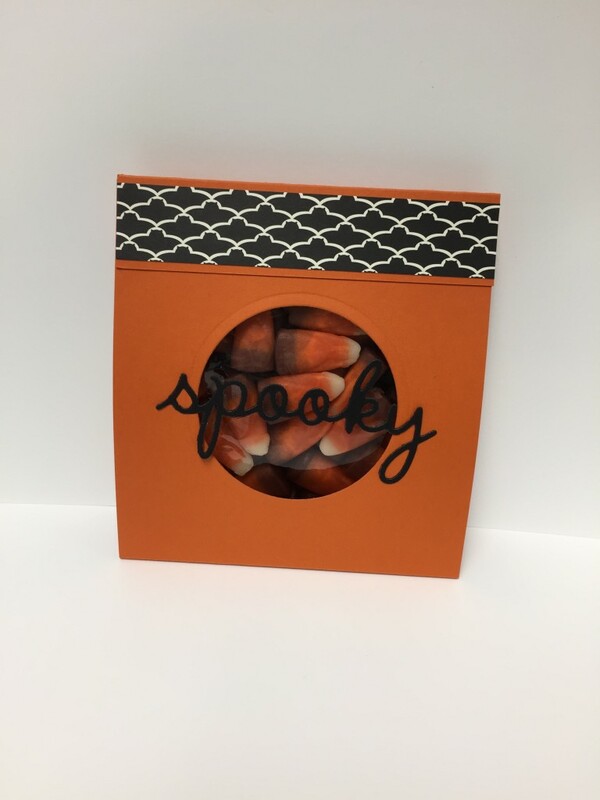 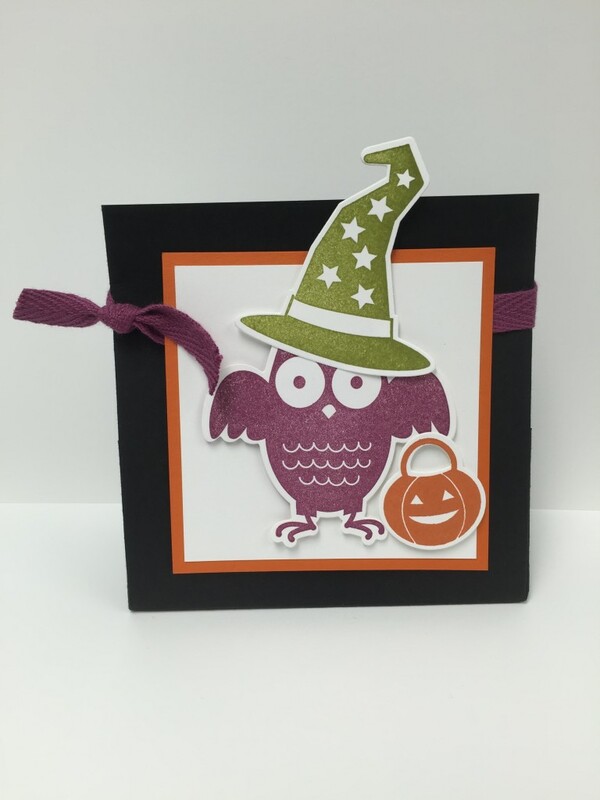 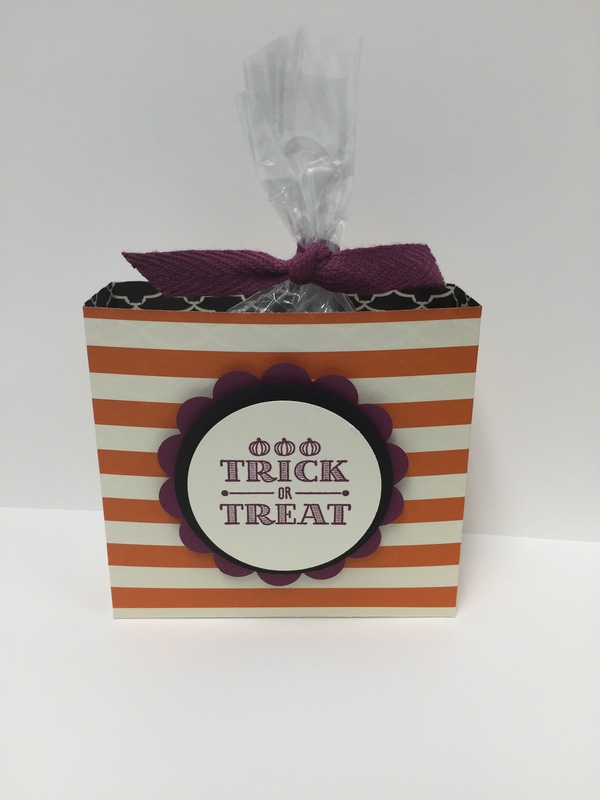 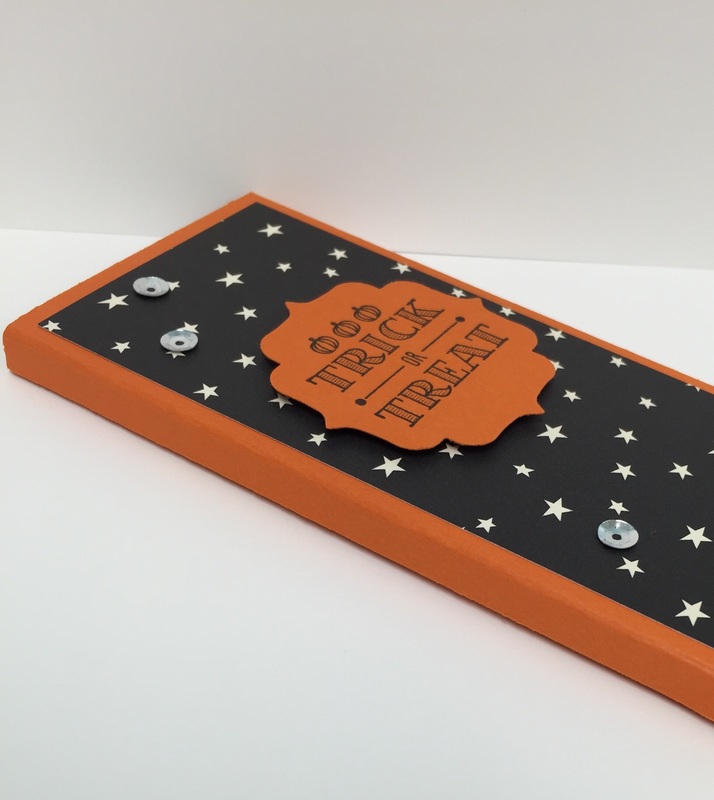 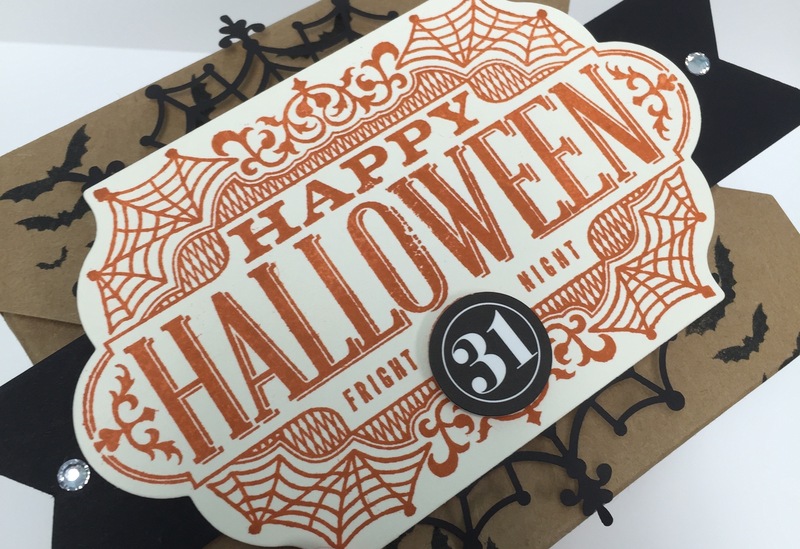 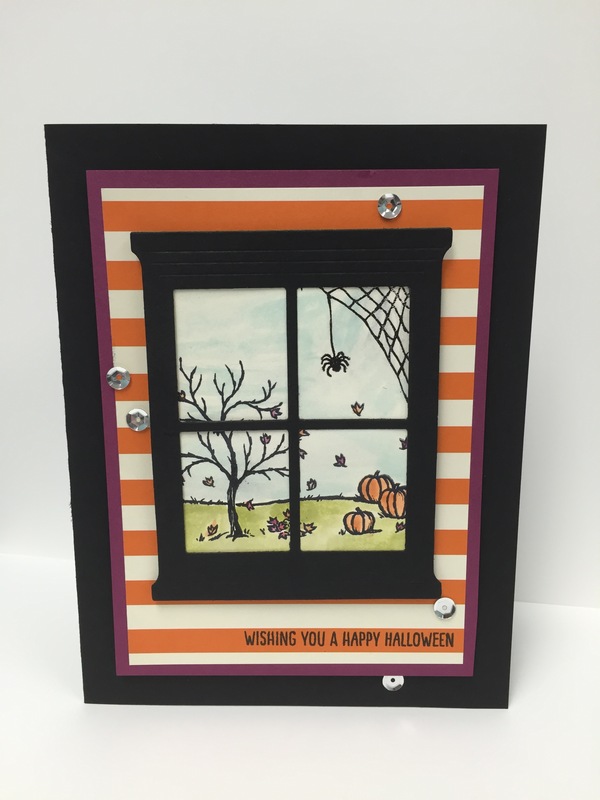 I made this wrapper with the A Little Something Stamp Set and Happy Haunting DSP, which are both featured in the 2015 Holiday Catalog. 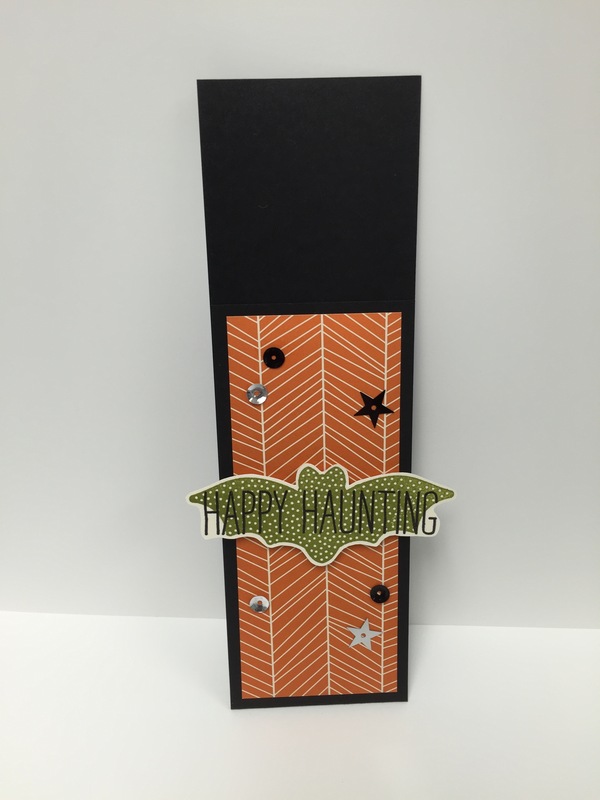 I used the Simply Scored to make the score lines one the card stock for the wrapper. 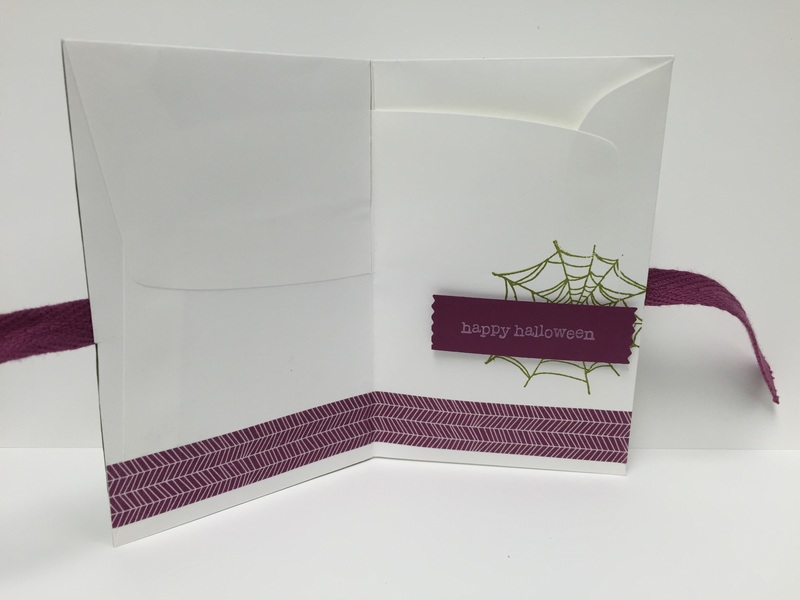 I made this pouch using a Whisper White Medium Envelope. 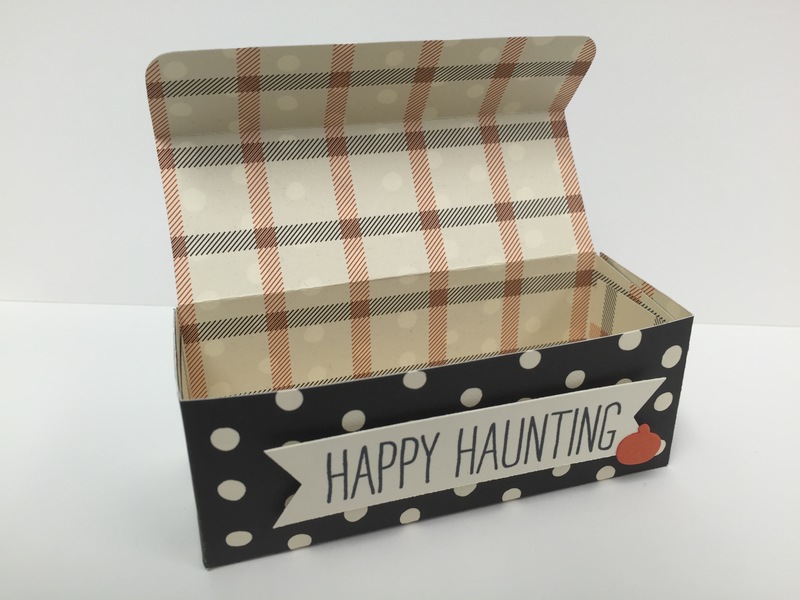 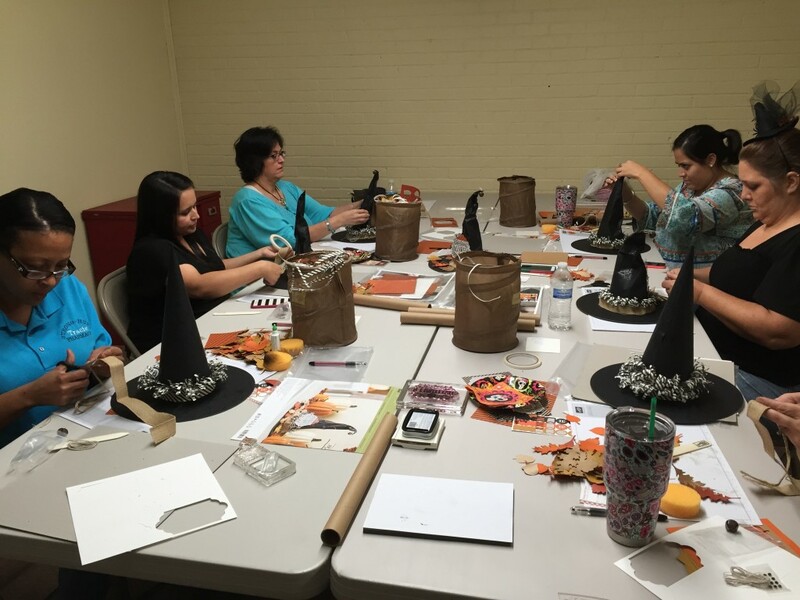 I used the Witches’ Night Stamp Set from the Holiday Catalog, and I embellished the pouch with Into the Woods Ribbon and Happy Haunting Washi Tape.